While I was at the mall this weekend, I saw a beautiful toddler having an all-out — tantrum or was it a meltdown. To my eyes, it was a meltdown, and the dad was doing a great job being calm and lovingly while he carrying him out of the mall. 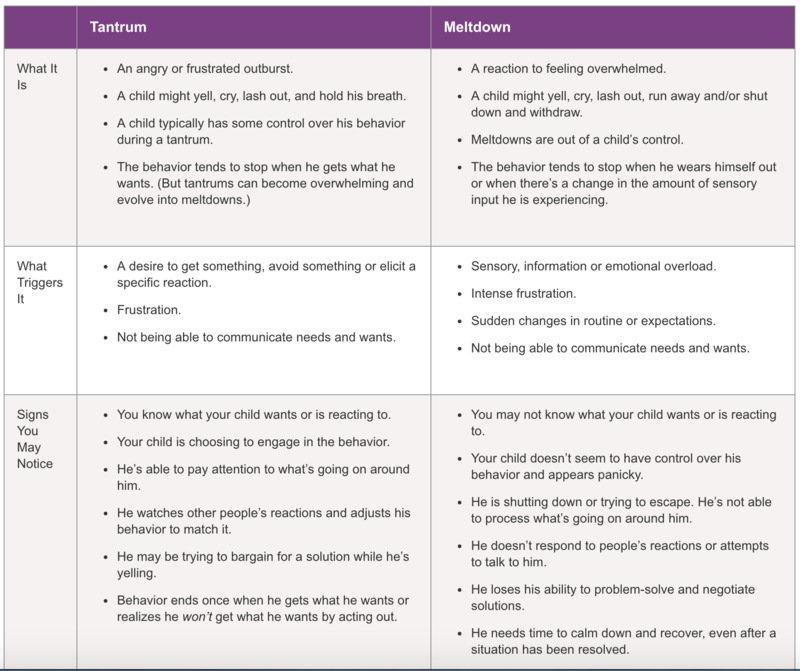 So, what is the difference between a tantrum and a meltdown? And then, is there a difference in how to handle them? Here is a nice chart from understood.org…. This entry was posted in Uncategorized and tagged Duluth, Duluth MN, dysgraphia, Dyslexia, meltdown, MN, Orton-Gillingham, struggling learners, tantrum by tuto2012. Bookmark the permalink.